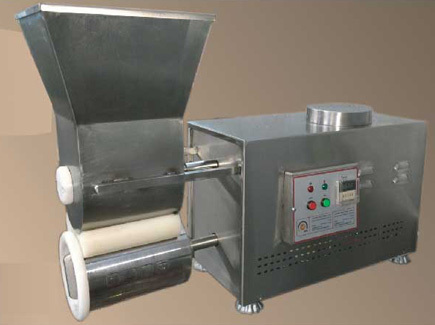 Large number of balls per cycle  depending on the size of fryer, it is possible to fry thousands of balls per hour. Machine can produce 6000 balls per hour - approx 100 per minute. The main hopper where the mix goes into holds around 2KG of falafel mix and this can be easily topped up. Strong and durable  Very strong the durable machine, made using stainless steel so easy to clean and uses a simple design as the motor built into the machine and easy to maintain. Motor - very robust and just uses a standard 3 pin plug  computer cable using 220V of power supply . Can you voltage converter if required let us know your exact voltage requirements. Simple operation  control panel with ON/OFF switch only. Price: £4000  Will include free delivery within UK mainland. For international delivery please contact us and we can give you a quote as we use Fed Ex as our delivery company for international shipments. Lead time from sending us payment to delivery to UK, USA, and worldwide destinations is 3 weeks. 50% deposit on order and 50% before collection or delivery. 1 year guarantee on the item and as the motor is very robust and easy for any engineer to replace or fix. 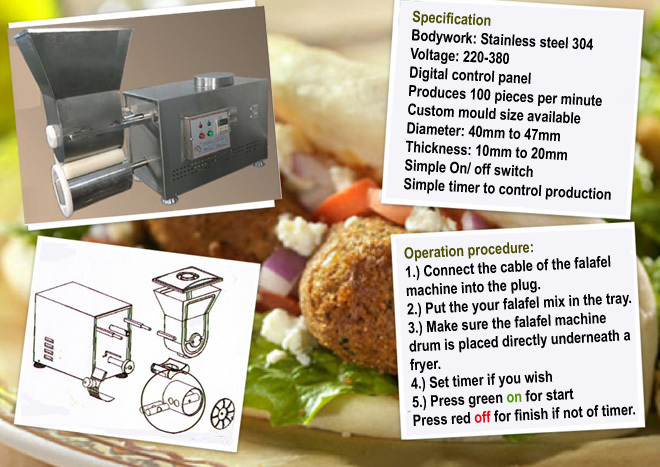 In guarantee we will give you up to £200 for a fix to any local appliance company so you don’t have to send the falafel maker back plus we will supply the part to you at our cost and shipping. At present we have had no returns from all the machines we have sold.  We are a UK company located in Scotland.